Part of the team at kitchen innovation design house, developing a simple weighing product, while keeping in-line with injection moulding best practices and product line design language. 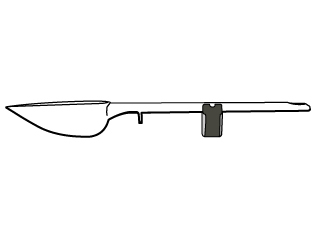 A simple concept, to create a spoon designed to save space by allowing the weighing of common ingredients with the spoon, removing the need for kitchen scales when cooking or baking. The principle used a simple pivot, and a movable weight along the handle to change the mass being weighed. When it balances, on a finger or edge of the bowl, you have the required amount. Through multiple iterations and 3D print tests, experimenting with different weights, lengths and form, an optimal solution was designed that can weigh between 15g and 100g. Through negotiation and collaboration with manufacturers in China, the product was engineered to be economic to manufacture, carefully keeping the final functionality of the product intact. Tooling, draft angles and mouldings for the weight (as well as the final mass of the weight) were refined carefully with the production engineers in Shenzen. For publicity and meetings with distributors, renders were created to demonstrate the appearance and use of the product before production first-offs were available. Meetings with major retailers and focus groups gave feedback to help guide the final production decisions. The addition of a scale within the cup to be used to measure liquids, making a kitchen tool which can save time and washing up. Now available from both the uutensil website, and Amazon, the product sits alongside the company’s other kitchen innovation products, it is marketed strongly in both the UK and Scandinavian countries.